YB , So fast you managed to upload this pictures . 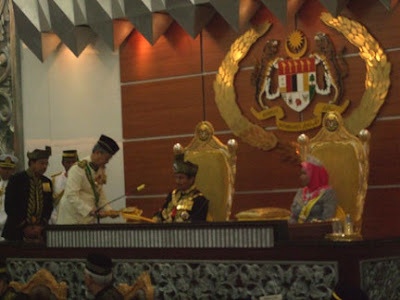 From the picture, it seems you’re sitting around Nurul Izzah. Thx for the live pix of the Parliament floor. 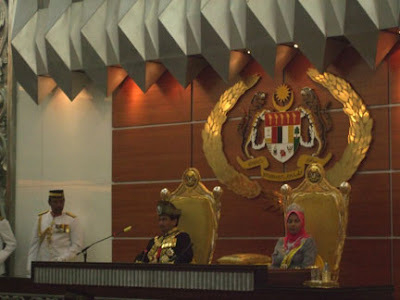 Anon 29-04-08 @17:42I am sitting three seats away from YB Nurul Izzah. It is my pleasure to provide whatever information as fast I can to my constituents. Thank you for reading my blog. I was taken aback when I saw the first live telecast of the MPs on tv. 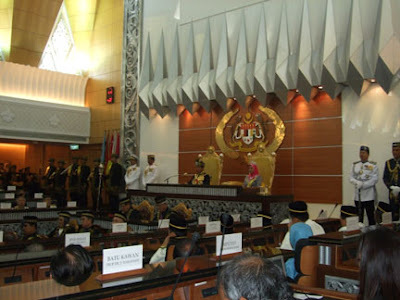 Mr Wee, I hope you can convey to the Pakatan Rakyat MPs – don’t stoop down to BN’s gutter level. You guys are better than that. Let those guys do the shouting. It makes them look like emotional, defensive, unintelligent old men. I am sure PR MPs can find a way to get the points across. Please, please DONT be like them! I agree with nchanted cat. Pls show us you guys got more class and rightfully should be sitting there…keep up the good work.